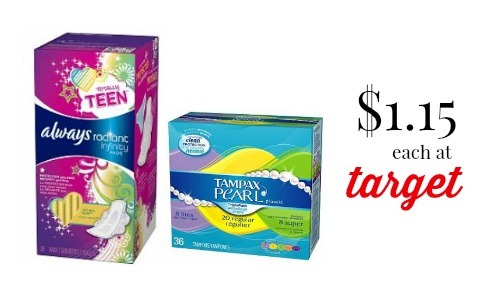 Head to Target this week to get a great deal on Tampax tampons and Always pads! Through 11/8, they’ll be offering a $10 Target gift card when you buy (3) select P&G products. You can get the pads and tampons for $1.15 each! Makes it $3.47 ($1.15 each)! These deals are valid through 11/8.